This is a square Qualitee Dairy Products porcelain sign. This particular Qualitee Dairy Products sign is black with white print. 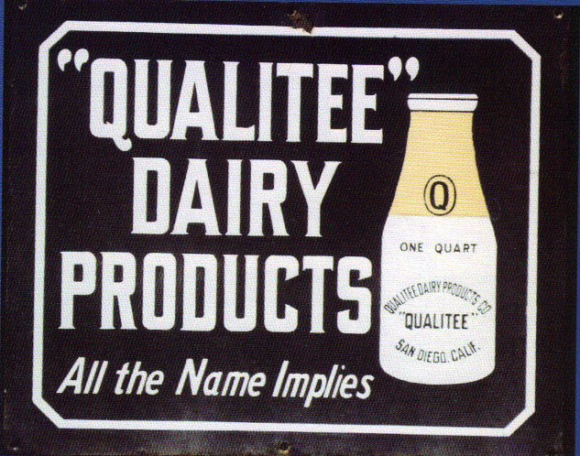 It reads, “Qualitee Dairy Products, All The Name Implies, One Quart, San Diego, Calif.” and features a Qualitee milk bottle on the right side of the sign.